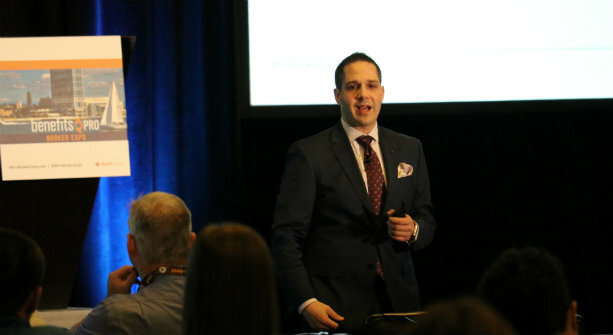 In his BenefitsPRO Broker Expo presentation, voluntary expert Eric Silverman outlines what advisers need to do to move beyond a status-quo enhanced benefits strategy. When it comes to creating a new vision of voluntary benefits where the products play a central role in the lives of employees and the employers who offer them, Eric Silverman is practicing what he preaches. Just last month, the Maryland-based consultant changed the name of his company to reflect the prominence and perspective he’d like to see these benefits hold in the workplace. Formerly Silverman Benefits Group, his boutique consulting firm is now known as Voluntary Disruption. The new name emphasizes Silverman’s commitment to reshaping the role of voluntary benefits — or as he calls them, “enhanced benefits” — in today’s marketplace.